Finding great resources online is THE BEST. 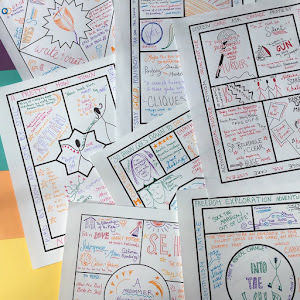 I remember years ago listening to everyone around me argue about how best to use the internet and the latest apps to benefit students, and thinking, the real benefit is that teachers can now find thousands of ideas online to improve their teaching. Much as I have always loved browsing the pedagogy section at the library for the best and brightest new ideas (seriously, I do love this), books about teaching help me improve my long-term skills, not so much my short-term lesson plans. So now I'm going to take you on a little tour of the best of THE BEST that I have discovered in the fourteen years since my first day of teaching. This is a relatively new site with tons of great ideas for every aspect of the writing process. 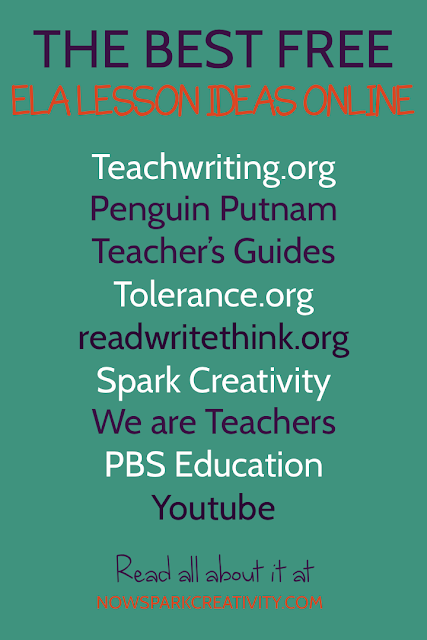 Whether you are trying to figure out how to design a writer's workshop or an English maker space, need a fun writing assignment or prompt idea, or are looking for prewriting or revision strategies, teachwriting.org presents solid ideas from a range of contributing teachers. I discovered these while I was teaching abroad in Bulgaria, and boy did I give myself a round of applause. What a find! 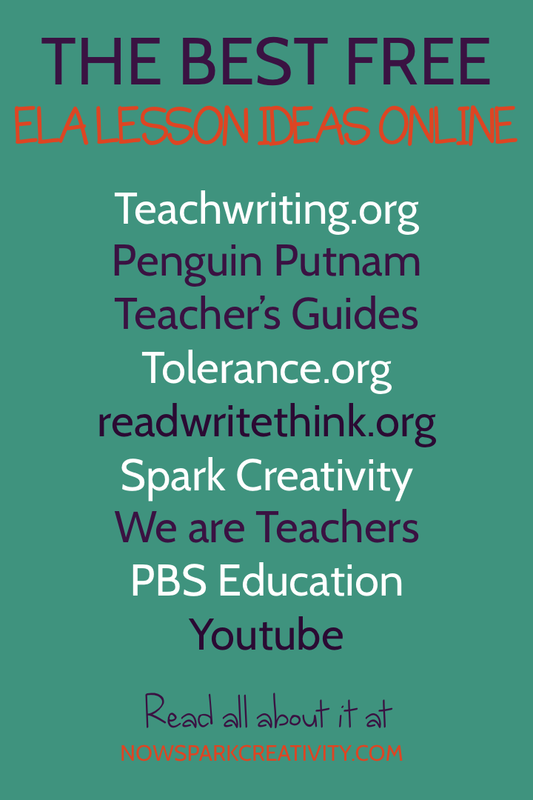 Penguin Putnam has paid writers to put together incredible multi-page guides chock full of discussion questions, class activities, and project ideas. They feature over a hundred titles, including lots of Shakespeare. Go check out their list. The Teaching Tolerance organization has put up an amazing website full of materials and free lesson plans with titles like "Analyzing Gender Stereotypes in the Media" and "Analyzing How Words Communicate Bias." If you are looking to discuss important issues in the media and the press, Tolerance.org is a great place to start. This website is a veritable warehouse of extensive lesson plans including directions, handouts, and various online interactive tools. It's easy to get intimidated by all the tiny type on the page, but if you can make the search engine work for you, there are oodles of great free lessons here. Check out "All's Well that Sell's Well: A Creative Introduction to Shakespeare" and "Analyzing the Purpose and Meaning of Political Cartoons" to give a sense for the resources available here. This one is very near and dear to my heart, probably because I write the articles every week! If you are looking for creative English teaching ideas, this very website is a great place to be. Try out "Escape Rooms: The Ultimate Guide for English Class" and "Creative Project Ideas for ELA" to get you started. This site is a fun place to browse when you wish you had a hilarious mob of teachers around you looking to share stories, vent, laugh, and trade ideas. 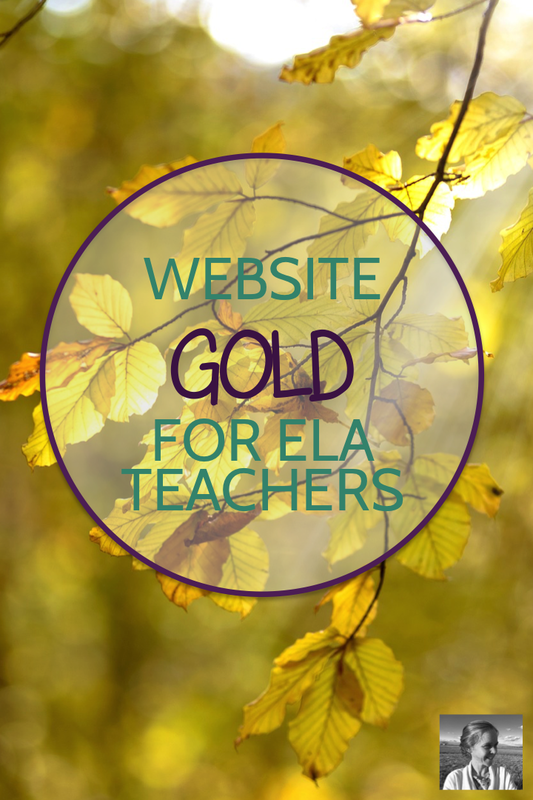 The Classroom Ideas Archives is the best place to go for articles to inspire your teaching. 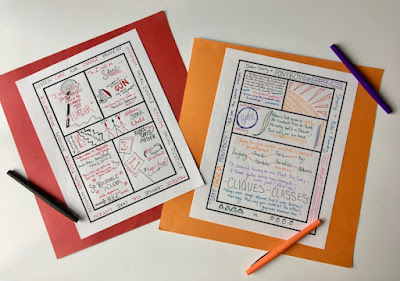 Check out "10 Creative Ways to Use Sketchnotes in your Classroom" and "How to Prevent Fake Reading? Give Teens choice as well as Classics" to get you started. Ever since I took my students on a webquest of PBS's online digital scrapbook about Mark Twain, I've known PBS had a lot to offer. And they've only expanded. Check out their full selection of free High School English Resources and pick out some to try, or go into the "PBS Teacher's Lounge" for what they call "ideas to teach boldly." It's a massive site, and an amazing one. Check out John Spencer's "The Creative Classroom" channel and Khan Academy's extensive "Grammar Playlist." 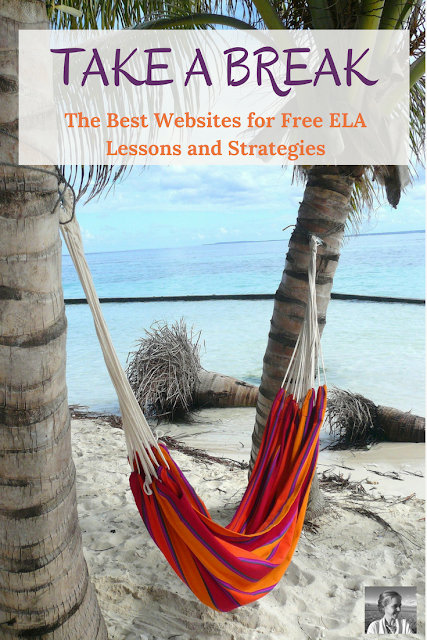 Or dive headfirst into Youtube English teacher bliss with my roundup of The Best Youtube Channels for ELA teachers. Thanks, Tara! I'm glad it was helpful for you!